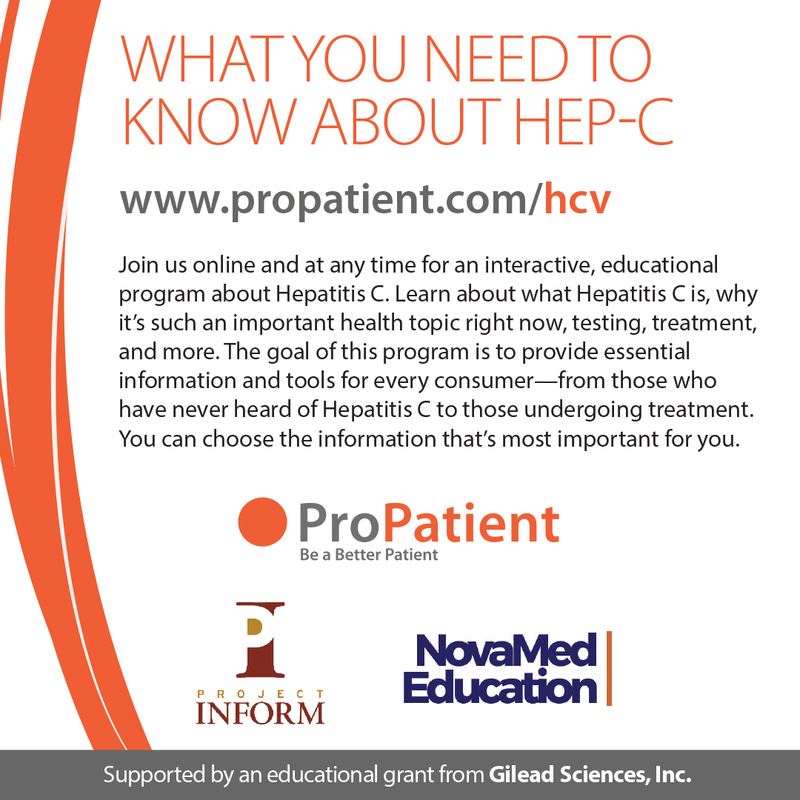 Hillsborough, NC, November 28, 2016	(Newswire.com) - ​ProPatient, a provider of interactive online patient education tools, has teamed up with NovaMed Education, a provider of education for healthcare professionals and patients, and Project Inform, a health education and healthcare access organization, to develop a unique and interactive online resource about the hepatitis C virus (HCV) for consumers. 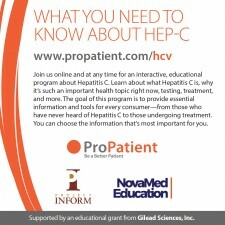 The program, entitled “What You Need to Know About Hepatitis C,” provides essential information and tools for all consumers, from those who have never heard of the disease to those undergoing treatment for it. It also includes strategies and best practices for communicating with healthcare providers. HCV is the most common bloodborne viral disease in the US, and it can lead to serious, chronic problems including cirrhosis (scarring of the liver) and liver cancer. The disease can be asymptomatic for many years and frequently goes undiagnosed until an infected patient has severe illness. Each year, over 35,000 Americans become infected with HCV. At least 3.5 million people in the United States have chronic HCV, and the majority of them are unaware they have the infection. 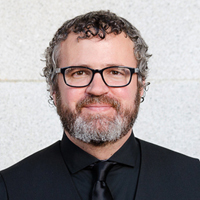 The patient program and the associated activities for healthcare providers are free for all participants, and were made possible by an unrestricted educational grant from Gilead Sciences, Inc.